Each year the cultural Festival of Lights, Diwali, celebrates the spiritual victory of good over evil, and knowledge over ignorance. For thousands of people who work in the UK pharmacy sector, Diwali is a special occasion which brings businesses, their employees, families and friends together in celebration. 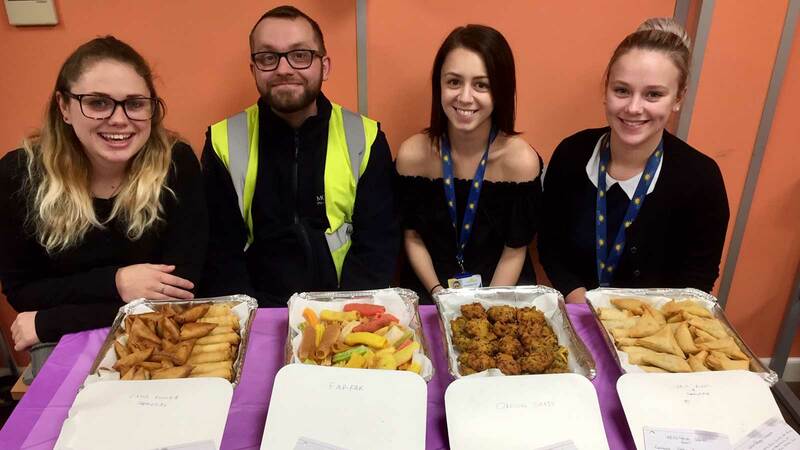 This November our employees came together to celebrate Diwali and hosted a traditional buffet lunch, which was kindly organised and served by this enthusiastic group of Morningside employees. Dr Nik Kotecha OBE, Chief Executive of Morningside, which is based in Loughborough, said: “At Morningside we’re very proud to have a diverse workforce, who come from a wide range of cultural and religious backgrounds. “Diwali is a festival that is close to my heart and many of the values align with our business’ mission, which is ‘to make quality healthcare an affordable and accessible reality throughout the world’.